Imagine if your bank froze your savings account because the only person with the combination to the vault had died. Investors in a Canadian crypto-currency exchange are in a similar fix after the only person with the password to accounts valued at $190 million in U.S. dollars died unexpectedly in India in December, CoinDesk reported. Gerald Cotten, CEO and co-founder of QuadrigaCX, died of complications from Crohn’s disease Dec. 9 while traveling in India to set up an orphanage, the firm wrote Jan. 14 on Facebook. In a filing Thursday for creditor protection with the Supreme Court of Nova Scotia, Jennifer Robertson, Cotten’s widow, said his death left the company unable to access the bulk of its crypto-currency funds, CBC News reported. The filing says Cotten had the only password to so-called “cold storage” accounts, a form of savings, containing bitcoins deposited by 115,000 investors, CoinDesk reported. He apparently left no record of the password, and security experts consulted by QuadrigaCX have been unable to crack the accounts, according to the publication. The filing seeks legal protection from investors while it tries to retrieve the bitcoins. 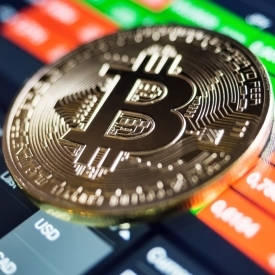 Bitcoins are the best known type of crypto-currency, a form of digital currencyoverseen by a decentralized network of computers around the world, The New York Times reported. Prices for bitcoins fluctuate wildly and are based on open-market bidding on exchanges. Bitcoins must be stored on servers and can be kept in “hot wallets,” for immediate transactions, or “cold storage” as a sort of digital savings account to protect them from hackers, CBC News reported.